Just installed an aftermarket android box with Apple Carplay dongle to my RX350. The dongle also works with android auto. I don’t have an android phone, so this post is mostly about Apple Carplay. Pros: looks and works like OEM, keep all factory settings/features (e.g. 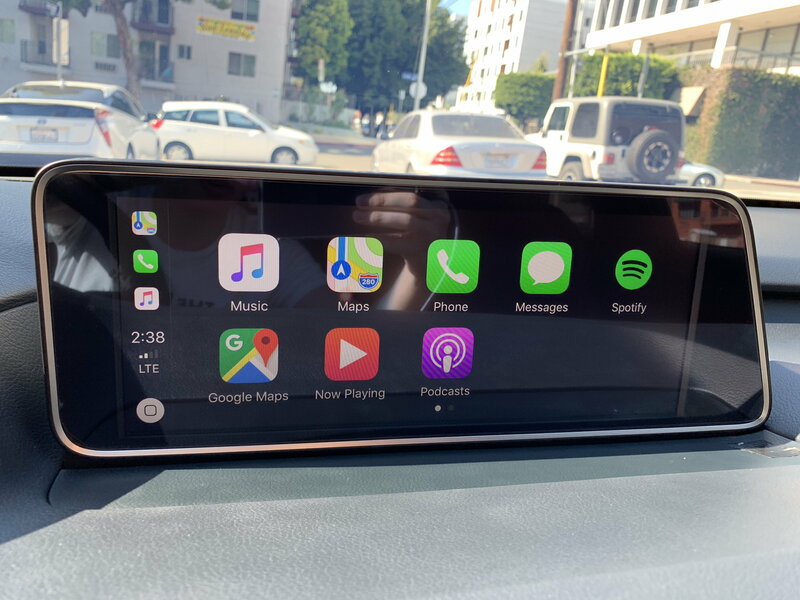 control with remote touch, birds eyes view, Mark Levinson, use car’s microphone, steering wheel control), keeps all factory hardware, plugs and play, play music via car’s bluetooth and control/browse playlist with the carplay interface. Cons: apple maps navigation/siri sometimes will be played on the external speaker come with the kit, sometimes need to change the output to bluetooth on the iphone after siri/phone call (which is a bit annoying but acceptable). 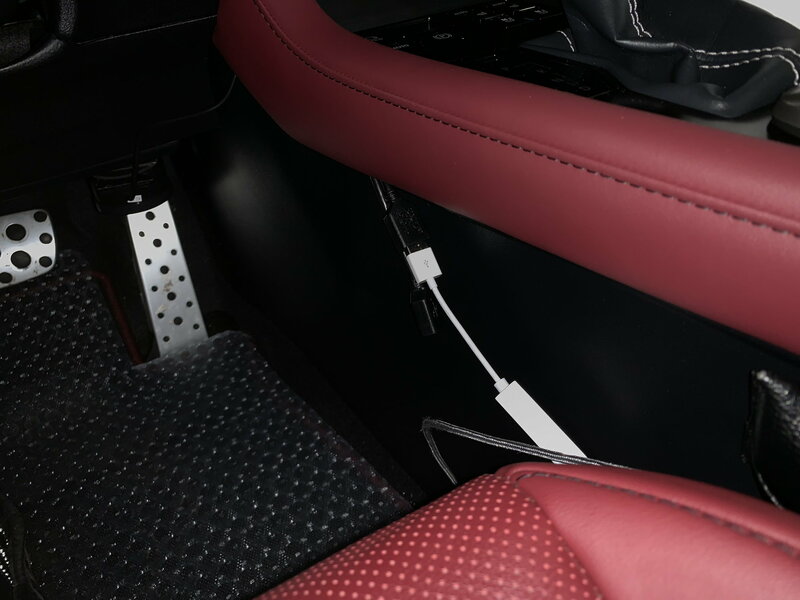 There is a setting to connect the android box's bluetooth to the Lexus bluetooth. See attached for instruction to turn "Master-On" on setting. All sounds now go through car's speakers. I bought it on aliexpress from lsailt. omg been waiting for someone to install this! how hard was the install? Does carplay start as soon as you plug in or you have to click a whole bunch of bottons? Can you send us link to which one you bought. I will order asap too! isn't some1 here have a grim audio that looks like that too? the android interface looks different than in the listing (it actually matches the lexus’s home screen, which is great). the installation is very easy. May take an hour or 2. Just plug and play. However, it doesn’t come with instruction, and since I’m impatient and too excited to try it out, i look up on youtube and figure it out myself. If you contact the seller, he will give the instruction. 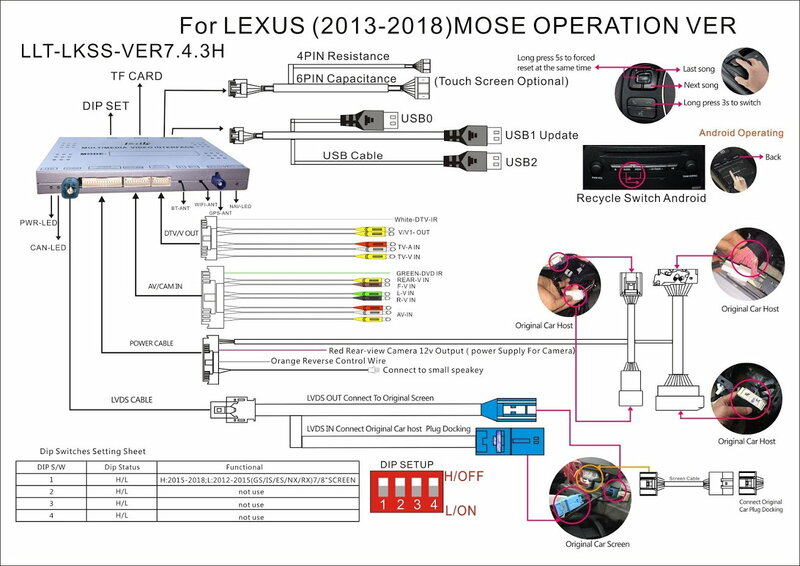 When you start the car, it will boot to the lexus interface first. You can get to the android interface by pressing the Mode button on steering wheel, or select the AUX in the menu holding the hang up call on steering wheel for 3 seconds. To avoid pressing too many steps, in the android setting, I select the App path, then select navition (or something like that), then select Carplay/Autoplay, so when I click the nav in the first android interface, it will take me right to the carplay. Even though it will boot to lexus interface first, the Carplay will stay on top in the android interface. In other words, the next time you start the car, press Mode hold the hang up call on steering wheel for 3 seconds, it will take you right to the carplay. Pretty neat. If you can’t get it to show 12.3” fullscreen, you can text the seller. He will give you the password to get to the box’s factory setting, and instruction to change to the 12.3” resolution. The connections are fairly simple. The big main power cable will connect to the big connector behind the headunit, and the audio connector in that cable to the 2nd connector next to the big main power. Thankfully you can’t connect it wrong because each has different size matches with the OEM connectors behind the headunit. Just look for the similar size cable, if you are able to conect it, it’s correct. One 3-prong LVDS cable that has 2 blue ends connect to the one behind the display on the dash (you will see there is the same blue OEM connector). The remaining prong will connect to the android unit. Then a short screen cable that has 2 white connector at each end will connect to the matching connector behind the display (you will see it next to the blue connector). Next you connect the box’s GPS antenna, the usb cable, and the box’s speaker. 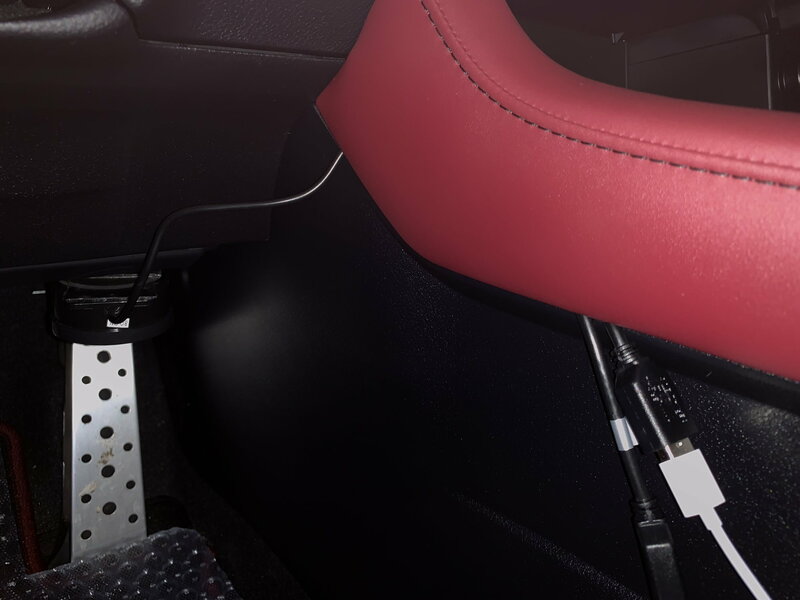 If you purchased the one with Carplay option, the Carplay comes preinstalled; just plug in the carplay dongle to the USB cable, then connect to your phone using your lightning cable. I didn't need the AV/CAM, DTV nor touch cable. - how to disassemble yhe headunit. can you make a video of the carplay in action with your rx? perhaps you can show maps and pandora in action. also show the power on sequence you spoke of. I had to cut out some parts that show my location on the screen (I don't know how to blur it out lol), but hopefully you get the idea. I had to move the apple maps around to hide my exact location, but it works as on other carplay vehicle. Also, Apple maps wont switch to night mode because Apple maps algorithm link that to the headlight on/off (Apple's fault haha). you can mitigate this by decreasing the night time screen brightness in Lexus's display setting, or you can use Google maps at night. Google maps's night mode works perfectly because google links it to the local time on the phone (iphone must be on ios 12 to have google maps, waze, etc.). I dont have pandora, so I showed spotify instead. Also, I forgot to record it, but after using the birds eyes view/backup camera, it switch back to carplay immediately (I love this). Looks great! Have you tried Waze yet? Does Apple Maps, Google Maps, or Waze show you turn directions on your HUD? Also how well do phone calls work? Does it go through the box or the car? I don’t use Waze haha, but it should work as the developer intended. The navigation can’t show up on the HUD. Most of other car manufacturers I know don’t add carplay to their HUD as well. Apple support HUD for carplay, but manufacturers are lagging behind at this. Phone call will go through the car’s speaker. You can initiate a call/voicemail with carplay as well. When you get a call, it will show up on carplay as it should be, then you can pick it up on the screen (I guess the steering wheel also work). Sometimes if it does not go through the car’s speaker when you pick up the phone, you can just change the audio output on your phone to the car’s bluetooth and it will go through the car’s speaker. This is a limitation since the box shows up on iphone as another audio output, so iOS pick an output randomly. how hard was the installation? Also where did you route the usb lighting cable to? The installation is not hard. You can check one of the video I linked in earlier reply on how to disassemble the headunit. There is a carplay dongle that plug to the box’s USB cord, then we plug the lightning cable to the dongle. So where does the USB cord end for you? any way you can send us a photo of exactly where you routed the usb cable? btw. your awesome to do this and help us with your input. you’re welcome! 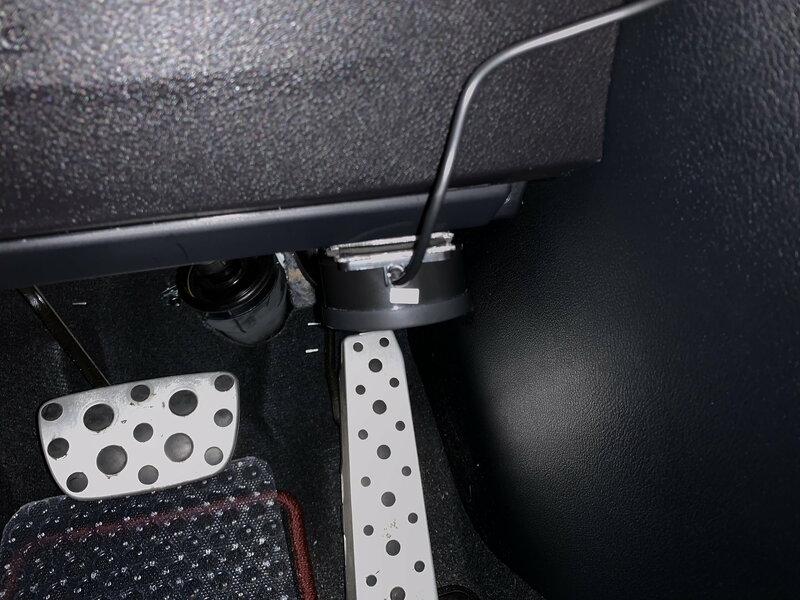 When you disassemble the headunit, you will see there is a hole where you can run the usb cord from the inside of the headunit, through the push/start button opening, outside. Does this give you the idea?